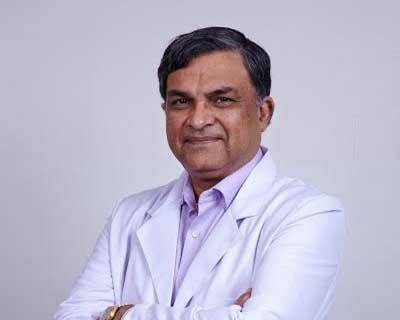 Gurgaon: Dr AK Kriplani, Director and HOD, Minimal Access, Bariatric & GI Surgery at Fortis Memorial Research Institute has been selected for the prestigious Dr B C Roy National Award for Best talents in encouraging the development of medical specialities. The award is given by Medical Council of India to recognize the merit of an eminent doctor for his contribution in the field of medicine. Dr Kriplani has been involved in the speciality of minimal access, bariatric and GI surgery for 35 years. Post his master’s degree in surgery in 1981, Dr Kriplani served the Department of Surgery, All India Institute of Medical Sciences as Asst Professor to Additional Professor. He is amongst the first few Surgeons in the country who has not only embraced but also propagated and taught the skills of minimal access surgery to other surgeons. He was the President of the Indian Association of Gastrointestinal Endosurgeons for the years 2008-2010 and fellowship courses started by him are extremely popular till date and form the main academic activity of the association. Dr Kriplani is the first surgeon in India to perform laparoscopic adrenalectomy and the first laparoscopic Whipple’s pancreatico-dudodenectomy in North India. Dr. Kriplani has the honour of been invited as a faculty for 455 Live demonstrations, Guest lectures , Orations , keynote addresses in conferences in various Indian cities and outside India e.g. Rome, Hongkong, Kualalumpur, Singapore, Korea, Tashkent, Dubai, Kathmandu, Dhaka among others and has been conferred with 28 Awards, honors and orations of national and international levels. Dr Kriplani has the credit of organizing 10 national conferences, CMEs, workshops and has trained hundreds of surgeons in laparoscopic surgery from India and countries like Nepal, Afghanistan, Pakistan, Iraq, Israel etc. His teaching videos on laparoscopic procedures are very popular and so far over 2,00,000 surgeons from all over the world have visited his channel and benefited by watching his techniques with current average of 350 per day. The Bidhan Chandra (B C) Roy Award was instituted in 1976 in memory of B. C. Roy by Medical Council of India. The Award is presented by the President of India in New Delhi on July 1, the National Doctors’ Day.